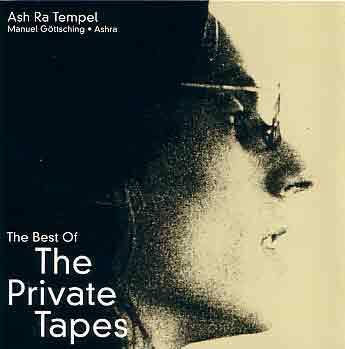 Ash Ra Tempel is one of the core founder bands of the German space rock movement along with Kraftwerk and Tangerine Dream. But the group has suffered from less stateside notoriety than those previous bands. For those of you uninitiated (including myself), The band is guitarist Manual Göttsching's brainchild with varying personnel. The core musical concepts center on electric guitars with foundation synths in endless improvs across this sampler two disc set. The Best of includes representative tracks from the monster six disc set previously available only from mail order. There are excerpts of longer tracks (which retain the essence of the main piece extracted from), plus one special bonus track not included on the larger set. Göttsching's guitar playing is very emotive, not unlike a less effects drenched Andy Latimer (Camel) or Edgar Froese on a more restrained day. The odd track, "Der Lauf der Giraffen" appears to be dramatic departure from expectations with nice fuzzy solo backed by a real band. Some techno influences can directly be traced back to a few tracks such as the mostly sequenced Disk two is characterized by continuing modern updates to the sound as the band evolved from the seventies through the eighties with more predominance toward newer keyboard gear and less guitar playing. Excellent informative liner notes are provided which give a concise career overview for novice discoverers. The Cleopatra label has done well to bring a band of this European stature to a wider, more appreciative audience. Suffice it to say, I'm now a member of the converted and hope we may yet see a stateside live performance.